Our wardrobe doors are designed to enhance the beauty of any bedroom décor. 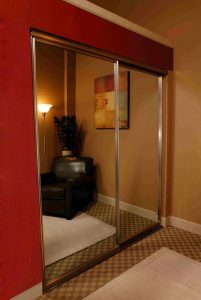 The mirrored finish will visually enhance the appearance of even the smallest room. The doors are available in a variety of sizes and aluminum finishes. We have several different styles, from heavy-duty doors to our fine line or frameless doors to match your personal style.